If you haven’t already saved the date for our Equality Day Tea, stop reading right now and put it on your calendar! We are excited to go back to an old-fashioned tea party, to be held on Saturday, August 25, 2018 at Sweet Tea Celebrations, located at 5325 Gulfport Blvd., Gulfport, FL 33707 (located in The Boulevard Shoppe). Seating is limited and we expect to sell out fast. Reservations can be made below. This event will be open to BPW/SPP members and friends of BPW/SPP only. Take this opportunity to meet a few great women (or an old friend) in an intimate setting as we remember the past, the hard work of the present, and help to pave the way for the next generation of great women in our future as a local organization supporting women personally, professionally, and politically. Once you click submit you will receive an email confirmation of your submission whether your payment is complete or not. A separate window will now open so that you may make your payment through Paypal. You can use a credit card or a Paypal account. 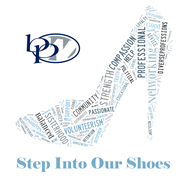 If the Paypal window does not appear or you do not receive an email receipt from Paypal, please contact info@bpwstpetepinellas.org in order to arrange payment. At the behest of Rep. Bella Abzug (D-NY), in 1971 the U.S. Congress designated August 26 as “Women’s Equality Day.” The date was selected to commemorate the 1920 passage of the 19th Amendment to the Constitution, granting women the right to vote. This was the culmination of a massive, peaceful civil rights movement by women that had its formal beginnings in 1848 at the world’s first women’s rights convention, in Seneca Falls, New York. The observance of Women’s Equality Day not only commemorates the passage of the 19th Amendment, but also calls attention to women’s continuing efforts toward full equality. Workplaces, libraries, organizations, and public facilities now participate with Women’s Equality Day programs, displays, video showings, or other activities. NOW, THEREFORE, BE IT RESOLVED, the Senate and House of Representatives of the United States of America in Congress assembled, that August 26th of each year is designated as Women’s Equality Day, and the President is authorized and requested to issue a proclamation annually in commemoration of that day in 1920, on which the women of America were first given the right to vote, and that day in 1970, on which a nationwide demonstration for women’s rights took place.